Mutton Gravy with Cashew and Peanut / Mutton gravy Indian - How to cook Mutton gravy Indian style - I have made this recipe with mutton/goat meat cooked with dlicious cashew and peeanut pste along with other flavorful Indian spices. 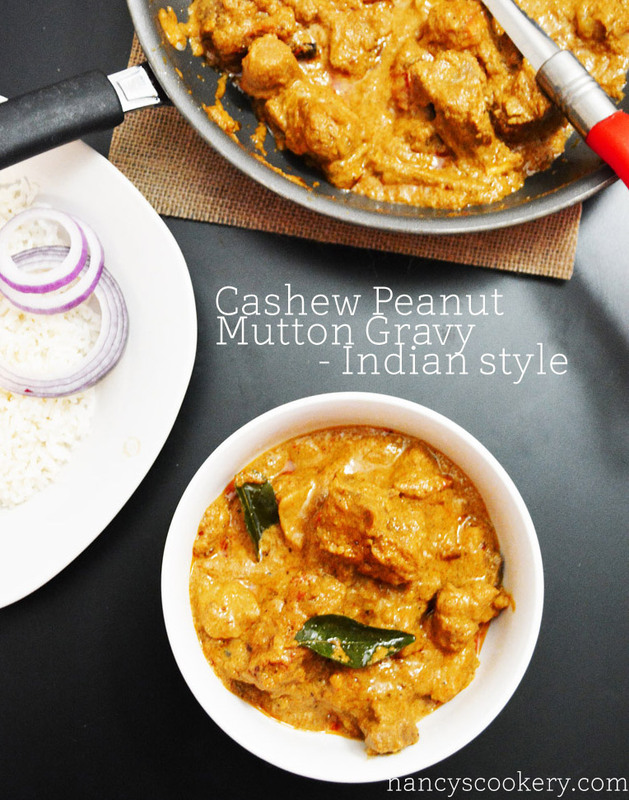 The addition of cashew and peanut paste gives you a flavorful and yummy gravy . We all know using cashews in nonveg gravy. 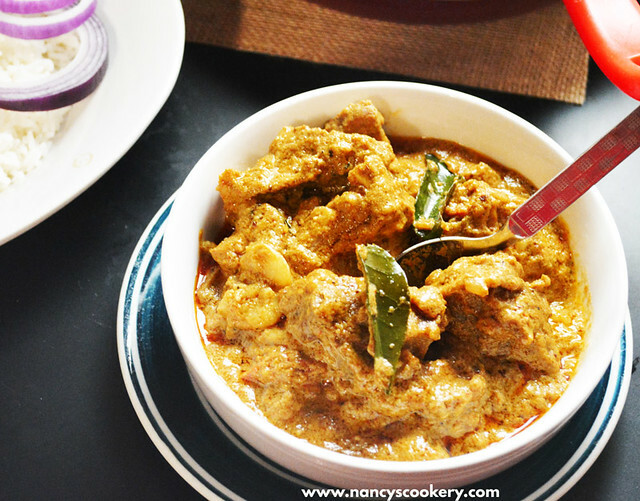 But the combination of peanut and cashew gives you an heavenly taste to the mutton gravy. 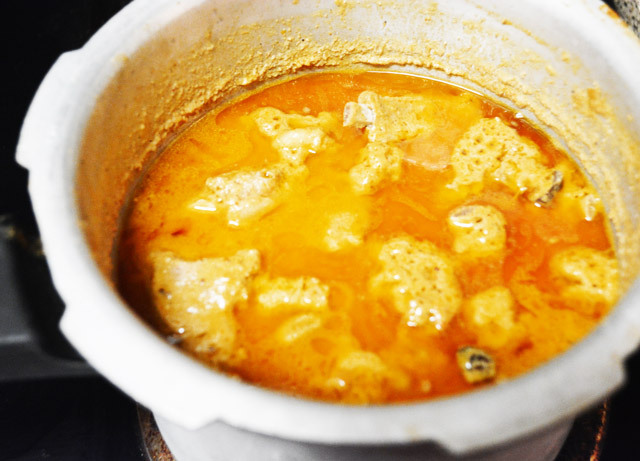 It is a must try mutton gravy. 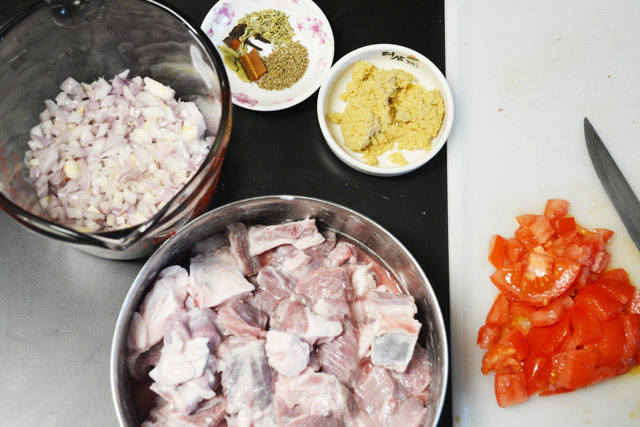 Wash the mutton with water and mariante with yogurt/curd before preparation. No much marination needed. Chop the onions and tomatoes. 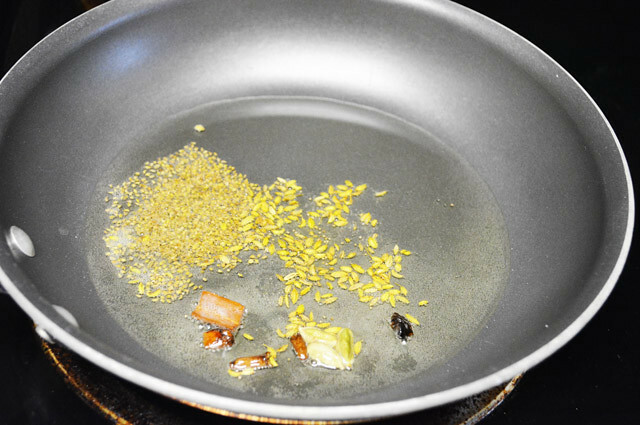 Heat oil in a pan/cooker, throw the whole spices cinnamon, cloves, cardamom, fennel seeds and ajwain seeds. When the cloves swell and the spices send a fragrance, put the onions and saute til they are browned and shrinked in size(not burnt). Then saute the tomatoes with them. In the meantime while the tomatoes are cooking, ground the cashew and peanut into a smooth paste with little water in blender. 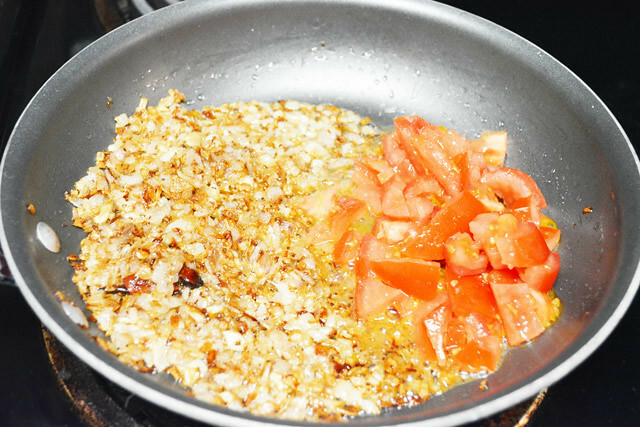 When the tomatoes are smashed, put the ginger garlic paste and saute till the raw smell goes off. 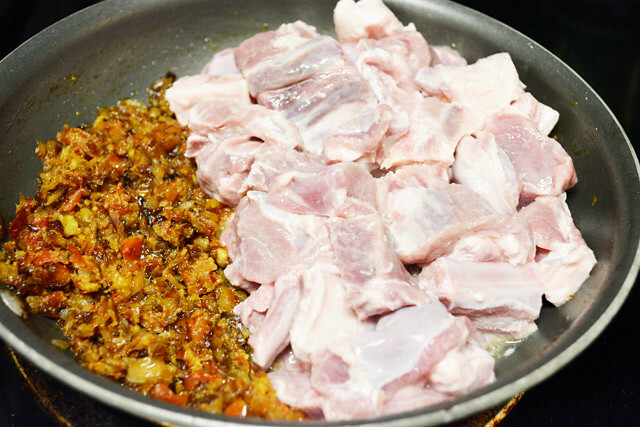 Now add the marinated mutton and all the spice powders( turmeric, coriander, chilly and pepper) and required salt. Mix them well. 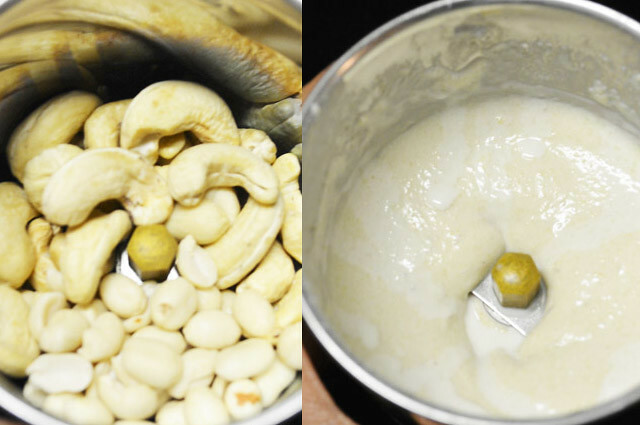 Then throw the cashew paste and add 1 ½ cups water, stir it. Transfer the contents, if not cooking in cooker base to a pressure cooker pan and cook for 4 whistles in medium flame. (My mutton pieces were little big, so cooked for 4 whistles.). Once the mutton/goat meat is cooked and the pressure goes off, Then put the curry leaves and keep it simmer for 10 minutes. 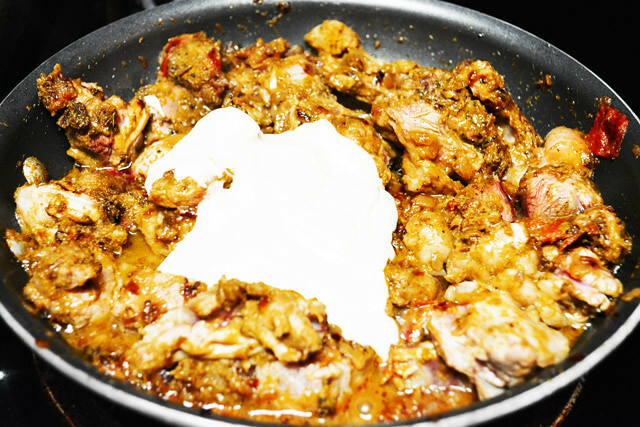 Wash the mutton with water and marinate it with curd/yogurt. Chop the onions and tomato and get ready the ginger garlic paste. Heat oil in a pan/ pressure pan, put the cinnamon, cloves, cardamom, fennel seeds and ajwain seeds.Ajwain seeds give a nice aroma. When the spices sends nice aroma, put the onions. Saute the onions until they are browned and throw in the chopped tomatoes. 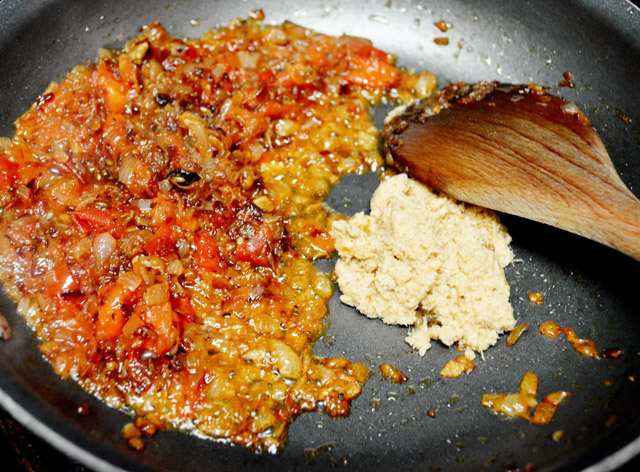 While the tomatoes are cooking, ground the cashew and peanuts into a smooth paste with little water in a blender. Once the tomatoes are fully smashed, throw in the ginger garlic paste. Saute them till the raw smell of ginger garlic paste is gone. 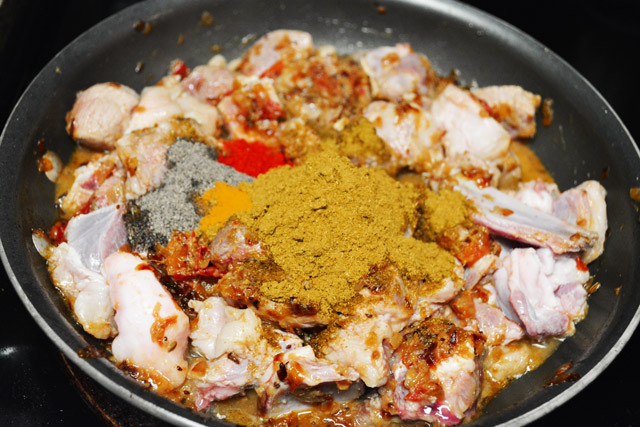 Also put the pepper powder, salt, coriander powder, turmeric powder and chilly powder. Stir them well. Now pour the cashew peanut paste and mix them well with a spatula. I have transferred it back to the pan / you can also cook it in the pressure pan. 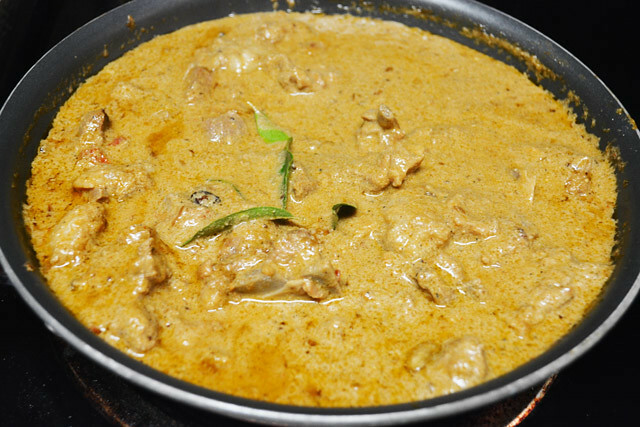 Put the curry leaves to the gravy and simmer them for 5 to 10 minutes and Switch off the heat. The curry leaves adds a nice flavor. The gravy becomes thick later( after cooled down) because of the cashew, peanut paste.